To learn more about A.M. and her other books, please visit her RWISA profile page. Please pick up your copy of this awesome read today!!! You’ll be so glad you did! Bought the book and look forward to reading it. Congrats! “Hexborn” is one of my favorites! Hexborn is an awesome fantasy series – I highly recommend! So proud of you for the wonderful accomplishments for this story. You deserve more. Continued successful endeavors in your future. Jan I loved “Flowers and Stone”. Can’t wait to read the next installment of this beautiful love story! Congratulations! Congratulations on the Book of the Month honor for February, Jan. “Flowers and Stone” was a compelling story. Thank you SO much, Peggy!! I am truly honored! Congratulations on this incredible honor, Jan! Thank you SO much, Beem. It truly is an honor! 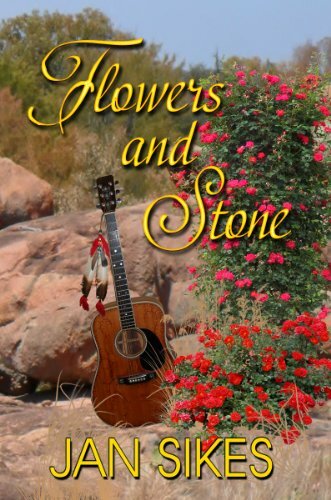 I am SUPER excited to see Flowers and Stone featured as the RWISA BOM for February! It’s perfect for Valentine month!